Go Out In Nature, Go Into Adventure! is a brochure that echo the beauty and touristic attractions of the regions of Pogradeci and Korça in Albania and Ohrid, Struga, Vevcani and Debarca in Macedonia. 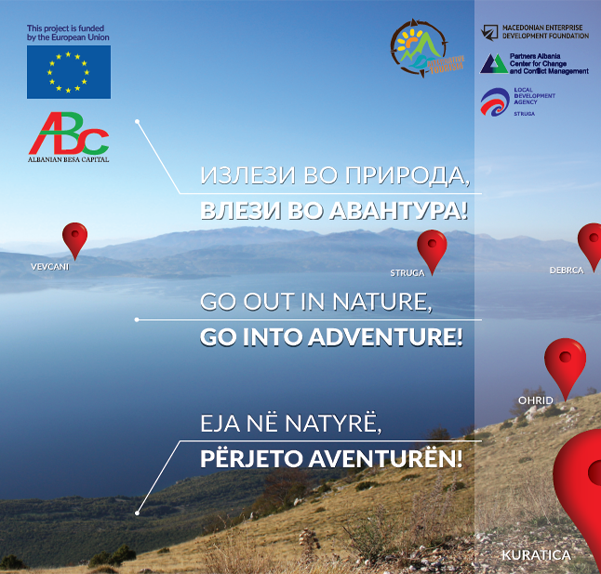 The brochure was produced in framework of the project Towards an Alternative Tourism, supported by the European Union and the ABC Foundation.